Zach, the son of Robert and Michelle Pearce, exemplifies the qualities that we all strive to achieve. On and off the field Zach displayed great character with ambitious purposes, a congenial disposition, possessed of good morals, having a high sense of honor and a deep sense of personal responsibility. Zach is a very talented and smart baseball player. 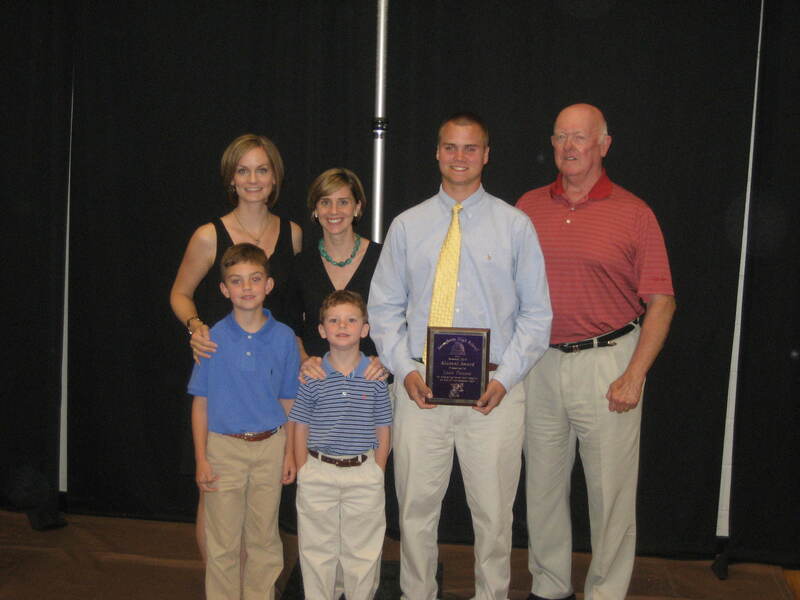 In the words of Coach Chris Newton “Zach was as fine a catcher as we have had in my 15 years as coach at Broughton.” As a three year starter Zach managed the pitching staff to multiple playoff wins in each of the last 3 seasons. Zach will attend ECU next year will tryout as a “walk on” to baseball team. Zach will be the first of many to honor a great man, husband, father and player, Trey Cheek. Trey a 1990 Broughton graduate was a Raleigh native, a lawyer, a writer of fiction, a baseball player, a golfer and a friend to all who knew him. 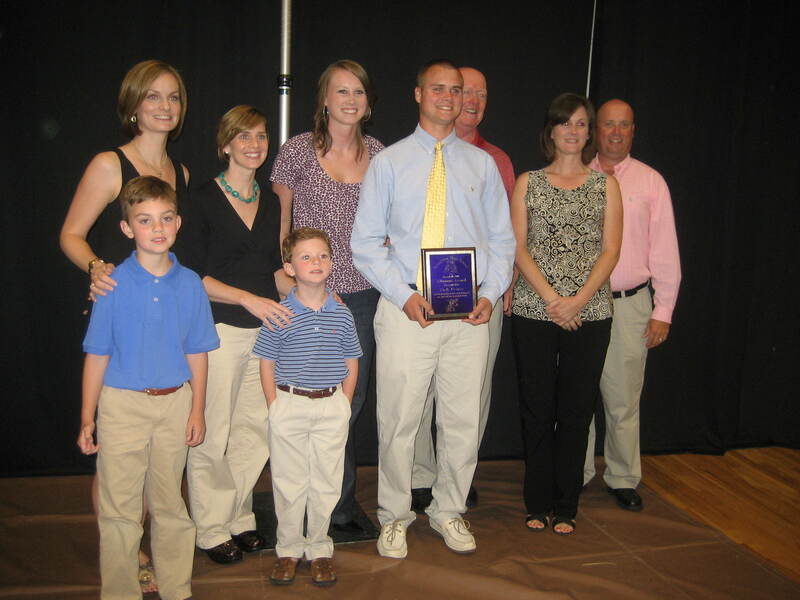 He was a baseball pitcher at Broughton and was later inducted into Broughton’s Hall of Fame. He was drafted by the New York Mets out of high school and was a pitcher for the UNC-Wilmington baseball team. He was an English major at UNC-W, received his masters in public administration from UNC-Chapel Hill and his Juris Doctor from the UNC School of Law. Trey’s character and integrity will live on in men like Zach. Pictured above Tricia Brantley, Caroline Cheek-Hill, Morgan Pearce, Alex Cheek, Robert Pearce, Jackson Cheek, Preston Cheek, Zack Pearce, Michelle Pearce. Congratulations to Zach and good luck next year at ECU.